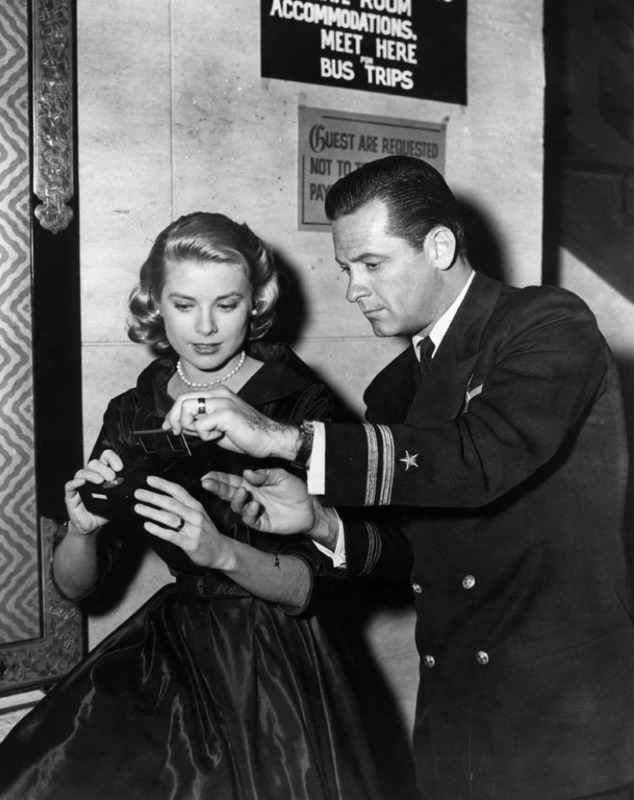 Grace Kelly is remembered as one of the most beautiful and elegant actresses who ever lived, and with such beauty… comes rumors that you have romanced every one of your co-stars. Celebrity gossip is not a new art. I’m just finished reading Gina McKinnon’s book What Would Grace Do?, and included is a section on whether or not there is actual evidence that any of these co-star romances occurred. Since I’m putting some of the book’s advice to the test and as such won’t be posting a full review until later in the year, I thought it would be fun today to share some of McKinnon’s conclusions about Grace and her potential man-friends. The jury’s out on Gary Cooper. 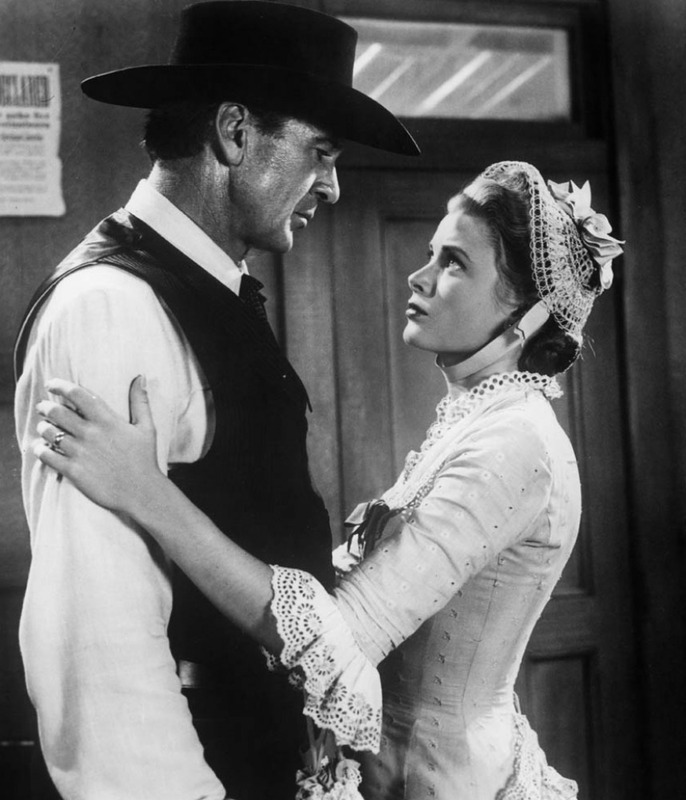 He and Grace worked together on High Noon, when she was still an unknown actress getting her first credited role. Biographer Donald Spoto insists that there is no evidence of a romance between the two aside from gossip, but McKinnon thinks “there might well have been a roll or two in the hay bales,” since Grace’s sister Lizanne admitted that Grace was infatuated with Cooper. I’m inclined to side with Spoto on this one, though McKinnon insists he wears “Grace-colored glasses,” since McKinnon’s only evidence is one gossipy remark from Lizanne, which really only admits that Grace was attracted to Cooper. 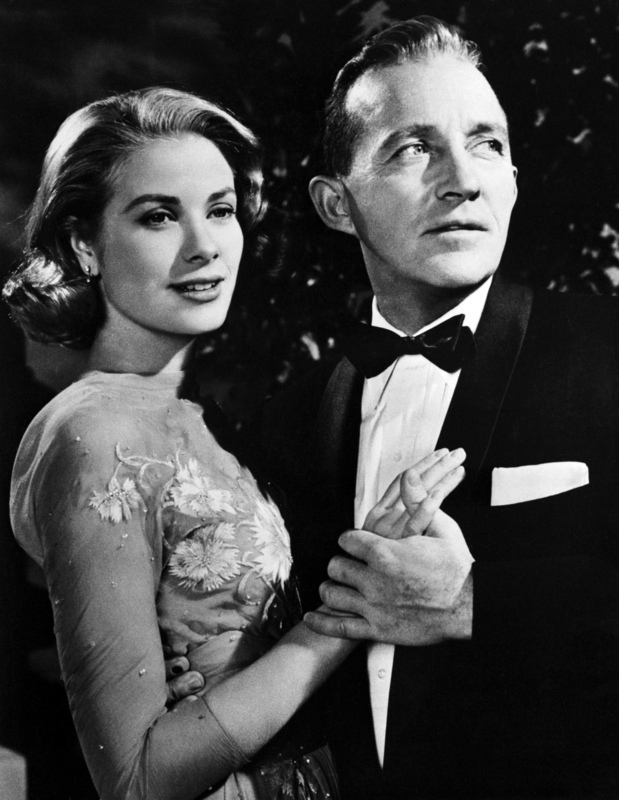 Bing Crosby and Grace did apparently date after his wife’s death. (McKinnon says their relationship is “well documented,” though I actually wasn’t aware they’d ever dated!) However, there have also been rumors that they were together before his wife’s death as well. James Spada, a biographer, claims to have heard this from Alan Ladd’s wife, who was sure Ladd had let Grace and Bing rendezvous in his home. It’s all just as-yet-unfounded gossip. Looks like the jury’s out on this one, too, though romance did eventually blossom for the pair. Tony Curtis was married to Janet Leigh at the time when Grace was filming The Country Girl, and Grace was having that brief romance with widower Bing Crosby. But while this match-up seems unlikely due to their existing commitments, Tony Curtis himself reportedly admitted it to Wendy Leigh, a Grace Kelly biographer. To me it sounds like he could have been trying (unsuccessfully) to be funny, making a joke about all of the other rumors about her. He used coarse language and described her in a way that a gossipy mag might rather than referring to her by name. The Clark Gable rumors stem from Ava Gardner’s admission that Grace and Clark had eyes for each other, as well as a drunken memory by actor Donald Sinden of accidentally stumbling into Gable’s tent and finding the two together, during the filming of Mogambo. Kelly’s mom has offered up conflicting claims about the pair, calling Grace’s affection for Gable a “schoolgirl crush” but then admitting that they were “practically living together.” Once again, the jury’s out! 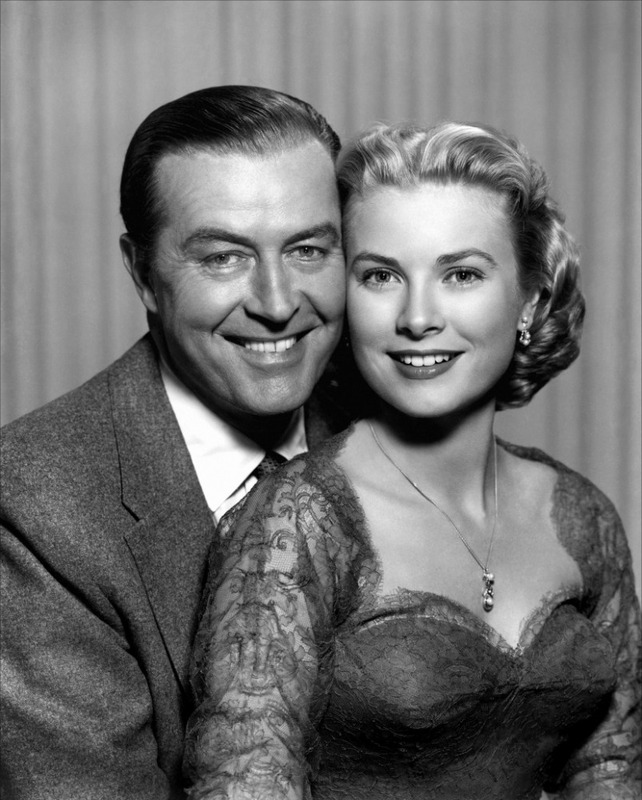 If all of these rumors are true, Grace must have been having a grand ol’ time on the set of The Country Girl, for the Grimaldi family themselves have confirmed that Grace had an affair with the very charming but very married Bill Holden while filming both The Bridges at Toko-Ri and The Country Girl, according to McKinnon. McKinnon seems to buy into the rumors about Grace and Ray Milland — she hilariously describes the affair as “a slice of ‘action’ from the set of Dial M for Murder not directed by Alfred Hitchcock.” I’m skeptical, though, because their origin is an issue of Confidential magazine — the quarterly-published 1950s equivalent of today’s Kardashian-obsessed tabloids, but with a Fox News-ish conservative spin. Confidential is, needless to say, not the most reliable source for truth. Most of these rumors seem like a bunch of hoo-bunky to me, but they’re funny to read about, anyway. I’ve always been one to focus on an actor’s work rather than their personal life, so I actually had no clue that Grace was linked with some of these people, and I’m still not convinced those “links” were real in most cases. Lindsey January 5, 2014 January 13, 2014 grace kelly, old hollywood, what would grace do? 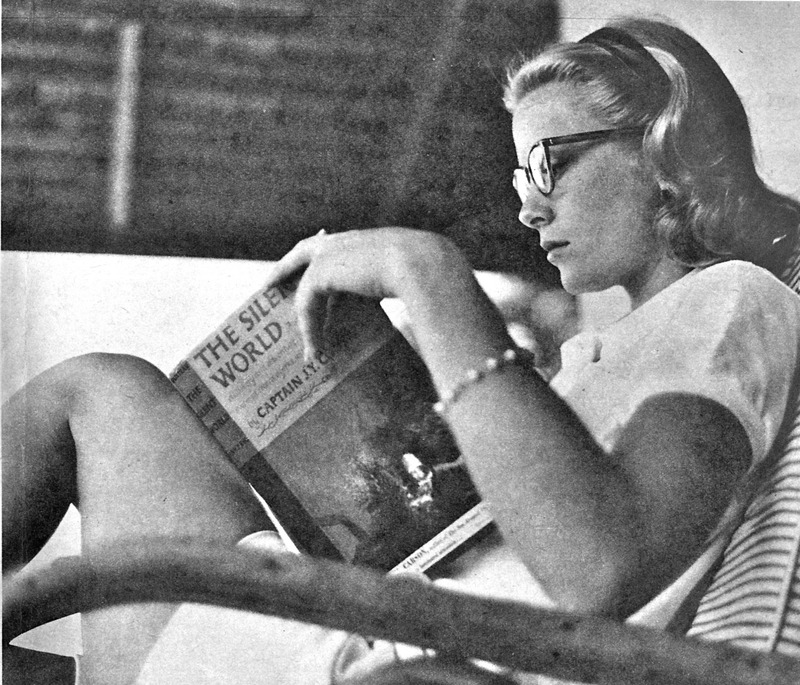 I don’t see how Grace Kelly had time enough to make movies if she were busy having all those affairs. No rumoured affair with James Stewart while making Rear Window? Oh, maybe she was having affairs with 15 other men during that one – ha ha. Yeah, I don’t get it either. She would’ve had no time to act, much less act well! I found it pretty comical that the author, who wrote a book about how Grace sets an example all women can learn from, was so quick to believe all of these affair stories. First, I have to admit that I’ve never been a fan of Kelly’s. I don’t think she was a great actress and I think the public is only obsessed with her because of her looks and the fact that she became royalty when she married a Prince. Having said that, i don’t doubt that a good many of her co-stars fell for her. I mean, the woman was STUNNING. Out of all the men listed here, in this post, I would have liked to have seen her with Cooper and Gable. The rest? Meh. I would definitely agree that her legacy exceeds her talent. Some of her films are just plain awful — Green Fire comes to mind. I do enjoy a number of her films/performances, though. My favorite is To Catch a Thief. 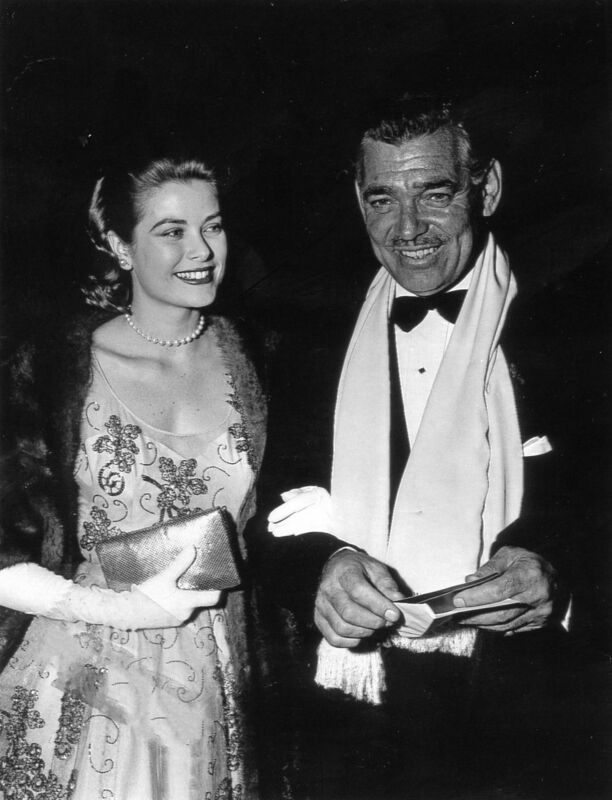 Cary Grant isn’t listed here, but I love them together. What, no Raymond Burr on the list? C’mon! You’ll have to write an angry letter to McKinnon about that one! Kudos for taking a level-headed approach to these rumors! As a huge Grace Kelly fan, one of the most frustrating things is seeing all these trumped-up rumors bandied about as facts. I always find such a double-standard in the judgments people pass on Grace, but yet not these supposed lovers of hers. I read a comment in an old magazine that Clark said he would make a play for her if he were younger, in regards to Grace. I also know that she resembled his love Carole Lombard. My opinion is they did have an affair. 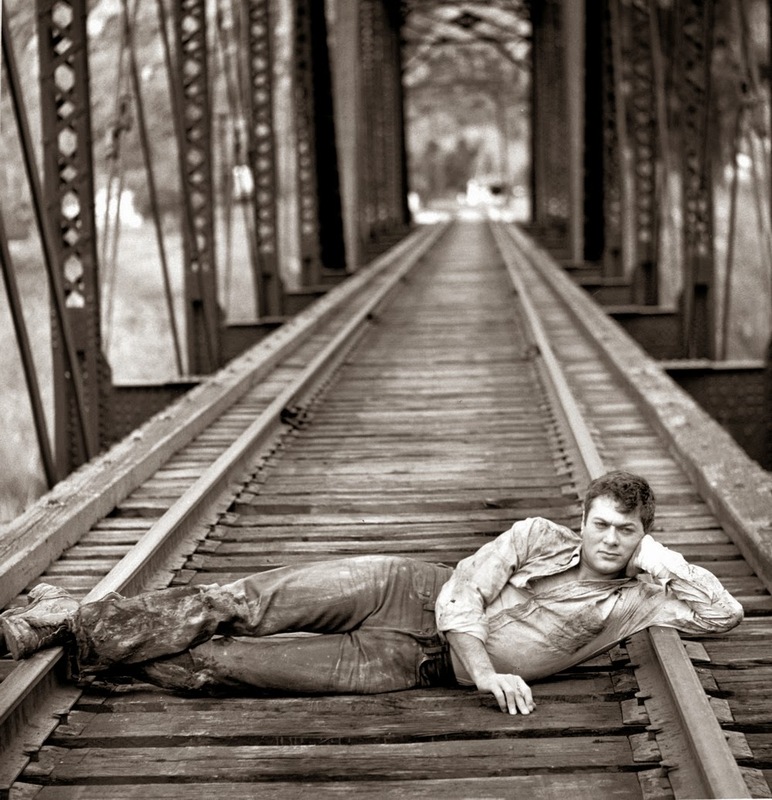 It was the time in life that Clark did not want to be tied down. I think he loved Grace’s looks, but didn’t like that she had an uppidy personality and voice, including knitting, which reminded him of his worse relationship, Lady Sylvia Ashley, who he married and divorced. I think she looked like what he wanted but didn’t act the way he wanted, plus he probably knew he couldn’t keep up with her youth. He liked woman closer to his age. He had a big lust cloud around him, so I don’t doubt it.